TLW was formed by Greg Johns in Albuquerque in the early 80’s and continued on for 15 years. Interestingly, the first drummer was also called Greg Johns so we called him Bucky Sievers. By 1983 the band was working fairly regularly in Albuquerque country bars – places like Cowboys, Shot of Gold and Mr. E’s. Within a few years the band would travel around the state and also beyond to Texas, Colorado, Wyoming and Idaho. 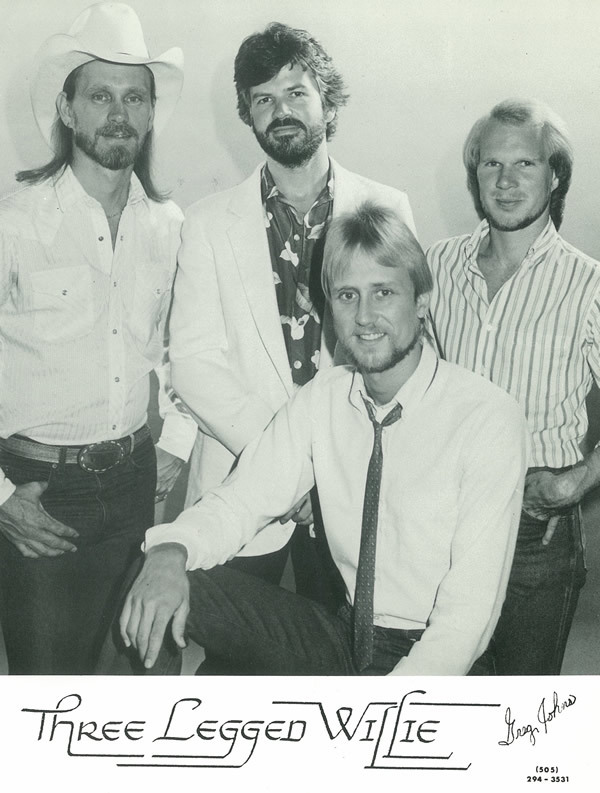 In 1986 TLW entered a series of band competitions sponsored by Wrangler/Dodge which culminated in them representing New Mexico in the finals held at Opryland, Nashville. The following year they signed with and independent record label and produced their first full length album Heartbeat, which consisted of mostly original material. During this period they were practically the house band at the Albuquerque Holiday Inn – and that regular work led to a lot of stability within the band.